“May sariling bituin ang mga Filipino!” exclaims Dante Ambrosio in his 2005 scholarly article “Balatik: Etnoastronomiya, Kalangitan at Kabihasnang Pilipino.” He says this after hearing of the story of Bukidnon’s Magbangal. Unlike the Christian Tatlong Maria, Supot ni Hudas, and etc, which are Tagalog translations of Spanish star systems, the Magbangal stood on its own. I looked this up after hearing about the National Museum’s new Planetarium exhibit. Open to the public for free, the exhibit explores how our ancestors viewed the stars. Free Admission: The NM opens new Planetarium exhibition. A cartoon figure of an astronaut named Juanito will serve as a guide to viewers, pointing to modern astronomy’s fixtures and their indigenous Filipino iterations. He’ll also be joined with other cartoon figures who’ll describe other facts about our native astronomy. And that made me wonder: what do you mean indigenous astronomy? We all know about astronomy, the study of the stars. What isn’t so familiar is ethnoastronomy, or the study of how people viewed the stars. As Ambrosio points out, humans remake stars in our own image, and of the things surrounding us. 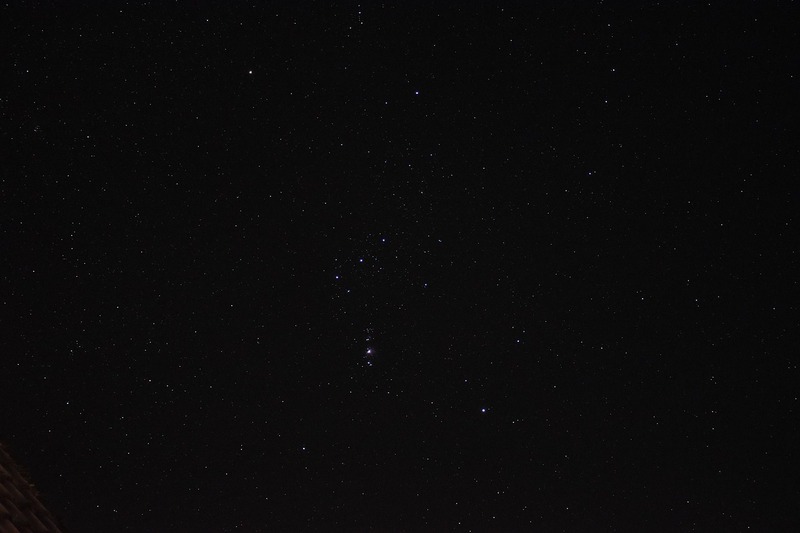 Think of Orion, the Greek hunter made star. Or for a relatively recent pop-culture example, think of Disney’s version of Hercules, which ended with Zeus drawing Hercules’ image in the stars after the demigod proved himself worthy. But of course, the stars were already there. The Greeks didn’t paint the sky, they merely connected some dots from the multitude of other dots in the sky, seeing humans in patterns like a patient sees bats in an inkblot while taking a Rorschach test. The myths were made from seeing the stars and seeing ourselves in it. Early on, people sought to the sky to make meaning of their place in the world, and they did so by reaffirming the things important to them with the dots twinkling high above. This is why stories of heroism (Orion), motherhood (Ursa Major), and even of tools (Little Dipper) are common fixtures of the stars. In much the same way, the early Filipinos claimed the stars. “Gaya ng ibang kultura, itinatak nila sa langit ang kanilang kakanyahan. Inangkin nila din ang langit,” Ambrosio writes. Bukidnon’s Magbangal was a powerful hunter who went out to clear a hill to plant crops; he took his place as a constellation after his wife disobeyed him, saying, “It is better for me to go to the sky where I can give the sign to the people when it is time to plant.” It admittedly doesn’t make that much sense, but it reaffirmed to the people of Bukidnon the need for strong hunters and strict familial relations, as well as a reminder for planting. There’s a tendency for people to point to things and say that there’s nothing political about it. Sports is pure, the arts is pure, food is pure. But our culture and history is embedded in everything we do, and the moment we make a claim for our culture and for our history, we’re making a political statement. And so, even the way we gaze at our stars carries its own politics, one in which the indigenous is passed over in favor of the Western. Who is Magayon and why is she on Mt. Mayon?